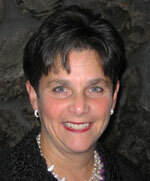 Lois Freedman, M.Ed., C.C.E. is a counselor, childbirth educator, perinatal consultant, and author of Birth as a Healing Experience: The Emotional Journey of Pregnancy through Postpartum. For more than 25 years, Lois has counseled women coping with anxiety, grief, traumatic birth experience, loss of a child, cesarean section, mother loss, miscarriage, infertility and death of a loved one. In addition to her private practice, Lois offers a range of classes and workshops for women. Lois has a special interest and expertise in preparing women and couples for VBAC - vaginal birth after cesarean. Lois has also created Circle of Women© groups and workshops to help women find joy and fulfillment in their personal and professional lives. These groups provide a sacred space for women at any stage of life to explore the balance between nurturing themselves and taking care of others. Lois also provides private counseling to women of all ages who are experiencing a life transition, a loss or trauma. Lois received her degrees from Northeastern University and Lesley University. Lois is a member of the Partners in Perinatal Health Conference Planning Committee; the Boston Association for Childbirth Education (BACE); the International Cesarean Awareness Network (ICAN); and the Massachusetts Midwives Alliance. Lois has co-founded the South Shore Perinatal Wellness Center in Norwell, MA with other colleagues. A life-long dream to bring together like-minded, compassionate perinatal professionals has manifested! It is thrilling to be collaborating with other professionals and Lois is happy to have you come see the center. Please be in touch! Lois cares passionately about pregnancy, birth and motherhood. She hopes that giving birth will always be honored and preserved as a natural, miraculous and spiritual experience.